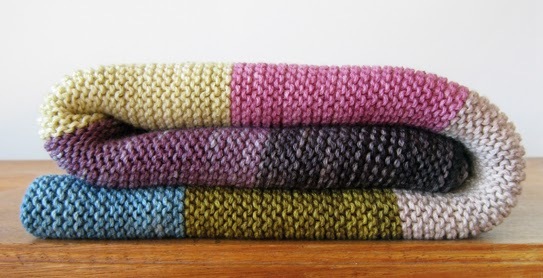 I know knitting can be a year-round pursuit, but I do find myself more inclined to snuggle on the couch with the needles during the colder months. I've got a couple of projects on the go, but a it's all fairly straight-forward knitting. At first I thought it was because I'm still recovering from the summer lace project (we won't mention that today as it's still not finished!) and that I should add something a little more complex to the works in progress, but then I realised that what I have on the go at the moment is just perfect. 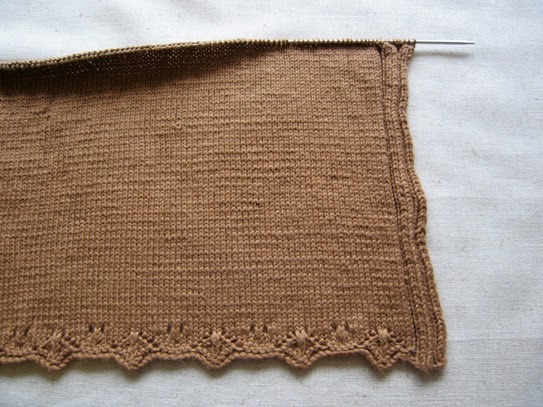 The next project is another summer-weight cardigan I'm knitting for my sister (different one). The pattern is in bamboo, but I'm doing it in a cotton blend. It took a lot of swatching to figure out which needle size I should be using, but I think it's going to be OK now. For some reason I keep twisting stitches on this one. Maybe I'm subconsciously sabotaging myself to break up the monotony of plain knitting? And last but not least is this project. It's for me and it makes me very happy knitting in this colour! It's going to be a navy, cream and yellow winter cardigan/jacket. It's a Milla Mia pattern and you can find the details on my Ravelry page – I've managed to get that bit up to date. Right now though, I need to get back to that stitching! Hope everyone has a great week. Oh, I know the feeling! 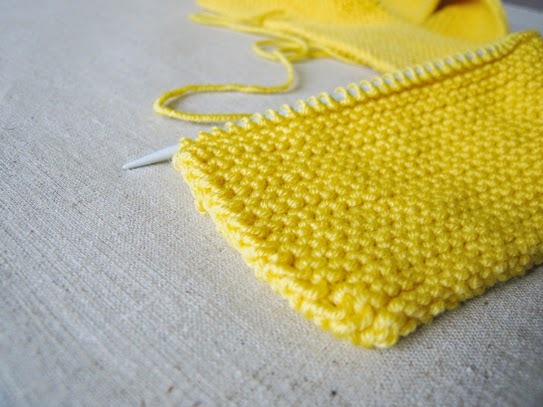 When life's full on there's nothing like relaxing with a bit of uncomplicated knitting.